The Brighton Securities Financial Advisor Development Program is our commitment to the success of our Financial Advisors. We offer new advisors some of the most professional and client-focused sales, investment, and business management training in the industry. Our trainees learn to develop a pipeline of prospective clients, identify their needs and transition them into long-lasting client relationships with the assistance of mentors and managers. Our trainees will continue to learn how to review client objectives and prepare customized investment solutions to help clients achieve their financial goals. 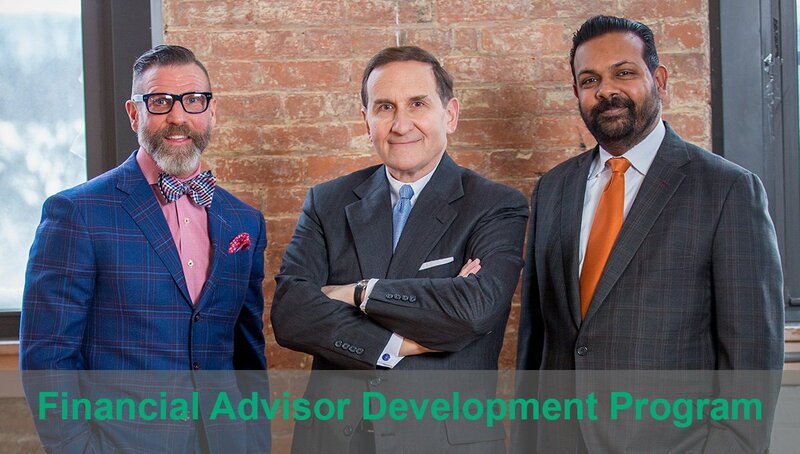 New advisors are also trained to develop a service matrix to run an efficient and referral-driven practice. Trainees learn to develop time management skills to balance account maintenance, client service, education, and prospecting. Trainees are expected to set their own prospecting targets (other than AUM* and revenue) with their mentors/trainers. Licensing Phase: Pass Series 7, 66, SIE, and insurance licensing. Sales Foundations Phase: Balance educational training with prospecting and pipeline building. Book Building Phase: Meet/exceed AUM and revenue targets. Each trainee is partnered with a peer mentor who is a Brighton Securities colleague. The peer mentor serves as a sounding board for questions about firm policies, procedures and culture.